Animals Asia has called on all stakeholders to make a commitment to ending bear bile farming in Vietnam by 2020. 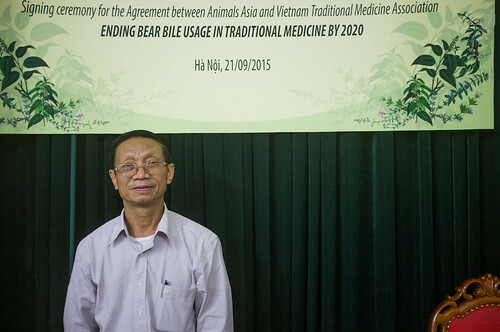 It follows today’s announcement by Vietnam’s Traditional Medicine Association that says its members must continue to pursue alternatives to bear bile and has promised a complete end to its use by 2020. The announcement came at a press conference in Hanoi this morning - arranged by animal welfare NGO Animals Asia and the Traditional Medicine Association. With bear numbers dropping fast and indications that the market for bear bile is also diminishing, Animals Asia is confident that bear bile farming can be entirely ended in Vietnam by 2020. 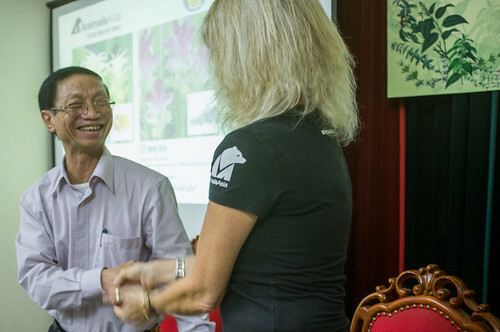 The NGO - which has worked with local authorities this year to end bear bile farming in Quang Ninh province - will be pushing authorities across Vietnam to make the same commitments ahead of 2020. In 1999, when Animals Asia first started working in Vietnam, there were 400 caged bears in Vietnam facing regular bile extractions for use in traditional medicine, but in the years that followed this number grew to around 4,300. However, by 2014 officials had revised that figure to 1,245. Bear bile farming technically became illegal in 1992 when Ministry of Forestry approval became necessary to keep bears. In 2002, bears came under CITES group I, making their exploitation strictly illegal. However it wasn't until 2005 that the first species-specific regulations were enacted. This regulation made bear bile farming explicitly illegal, but allowed farmers to keep their bears as long as the bears were micro chipped and the farmer had signed a declaration to never again extract bile. However bear farmers continue to make use of legal loopholes and the authorities’ lack of resources to continue. For traditional medicine practitioners, buying and prescribing remains illegal but arrests are rare. Like bear bile farmers, many continued to ignore the law but attitudes are changing. 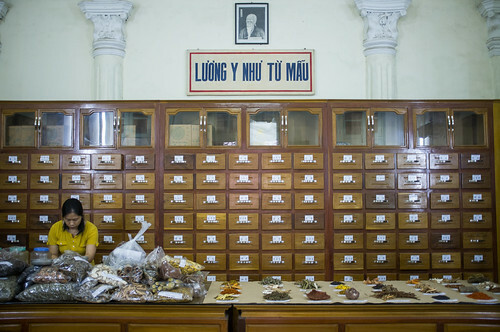 In April 2013 Animals Asia partnered with the Vietnamese Traditional Medicine Association to release 7,000 copies of a booklet outlining herbal alternatives. At that time surveys showed that 17% of traditional medicine practitioners admitted to using bear bile. A further 23% avoided answering the question, which strongly suggests they too are using bear bile. The booklet appealed to practitioners to change their ways of working and highlighted the law to practitioners. “Animals Asia believes 2020 represents a realistic timeline. The Traditional Medicine Association does too. We are seeing numbers of caged bears plummeting, because the market for bear bile is disappearing. Piece by piece this jigsaw is coming together. We have seen in Quang Ninh what can be achieved with government and local authority support. We’ll now be lobbying government to build on that success, and part of that is committing to the 2020 deadline. The campaign to end this cruelty is gathering momentum - we want to draw a line for when bear bile farming ends. “We ended 2014 asking the Vietnamese government to allow us to rescue the bears in Quang Ninh. It is to Vietnam’s great credit that we have been allowed to do it and this year has been dominated by the on-going rescue of these bears. Animals Asia has rescued more than 550 bears from the bear bile industry in China and Vietnam. It currently cares for 132 bears - all rescued from the bear bile industry - at its sanctuary based in Tam Dao.